At Piney Point Oral and Maxillofacial Surgery in Houston, our dedicated team of oral surgeons utilize the latest techniques and technologies to ensure patients experience minimal discomfort during surgical procedures, but for many patients, managing pain and oral health care following an operation can be a challenge. Our team offers patients a post-operative guide to ensure they understand the best way to manage pain, bleeding, hygiene, and other health concerns following surgery. To take it easy for at least 24 hours. The body heals best when it’s at rest. Bite down on gauze to absorb any excess blood, and aid in the clotting process. Avoid spitting or rinsing aggressively as this may result in further bleeding. To have some dietary restrictions. Typically, patients are instructed not to use a straw, and to eat very soft lukewarm foods for the first 24 hours after oral surgery. To deal with oral hygiene in a different manner for the first few days or weeks following treatment. Typically, patients need to use an antimicrobial oral rinse, and brush and floss unaffected areas as usual. Following surgery, there are several things patients can do to minimize discomfort, and heal more quickly. Be prepared – ask questions before your procedure to help you prepare for post-operative care. Make sure to plan for medications. If you’re currently taking medication that thins blood, you may need to alter your treatment plan in conjunction with your physician. Additionally, pain relieving medications can interfere with other medicines or illnesses, and it’s important to understand this interaction before treatment. Avoid risky behaviors – following surgery avoid smoking, drinking alcohol, or engaging in activities that cause unnecessary stress. This will significantly decrease the risk for complications. Keep cool – use ice to manage pain and swelling after treatment. 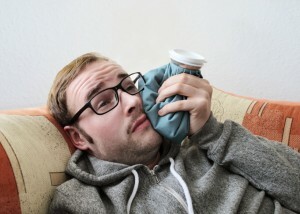 Apply an ice pack at 20 minute intervals (20 on/20 off) throughout the day following surgery. If you’re scheduled for oral surgery in the near future, remember to discuss post-operative care with your surgeon before the procedure. To find out more, contact Piney Point Oral and Maxillofacial Surgery. Our Houston team is happy to help patients understand the best way to manage pain, and healing following oral surgery.